From the contemporary to the ancient, this week's roundup of literary news covers Argentina, Latin America, and Hong Kong. This week, we’re taking a look at the precise and haunting work of a thrilling young Argentinian writer, celebrating and revelling in Latin American Indigenous literatures, and queuing up for a veritable mélange of literary and artistic events in the international hub of Hong Kong. It’s been a pretty good month. 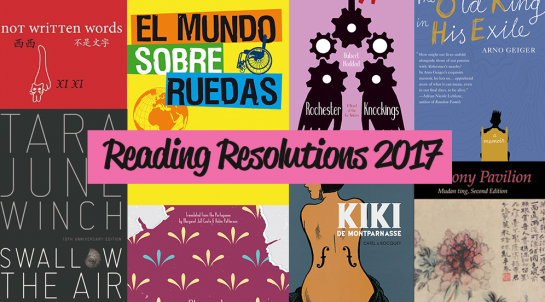 This week, catch up on the latest literary news from Morocco, France, and Hong Kong! We begin and end this week with a look at two of the winter’s biggest book fairs: Hodna Nuernberg accompanies us on a retrospective tour of the 25th Casablanca International Book Fair, while Barbara Halla lets us know what’s in store at next week’s Salon du Livre in Paris. Meanwhile, Editor-at-Large Jacqueline Leung, reporting from Hong Kong, updates us on a symposium taking place today to honor 2019 Newman Laureate Xi Xi. Oft-maligned by Morocco’s cultural elite, Casablanca’s international book fair came to a close on February 17. The twenty-fifth edition of the fair saw 560,000 visitors, or 62% more than in 2017, yet publishing houses bemoaned a lack of serious readers. Indeed, the book fair, whose 10-dirham entry fee—about $1—is roughly the price of a big-city café au lait, is a resolutely popular affair where boiled-chickpea sellers rub elbows with poets, children careen wildly from stand to stand clutching brand-new Barbie notebooks, and azans ring out on loop from the Saudi pavilion. This year, 720 exhibitors from forty-two countries offered up some 128,000 titles, about a quarter of which were literary works. Although 80% of books published in Morocco in 2017-2018 were in Arabic, French punches above its weight in the literary domain, accounting for 30% of all published novels. Catastrophe was narrowly avoided when Éditions Malika’s stand went up in flames during the fair’s final weekend. Apparently the result of a poorly-wired outlet, the fire destroyed much of the small Casablanca-based publisher’s stock and could have done much worse given that there were no fire extinguishers on site when the fire broke out. Fortunately, the Council of the Moroccan Community Abroad had brought their own and saved the day. After the ashes were swept away and the shelves restocked, one of the book fair’s finest offerings could be found at Éditions Malika: the sumptuously illustrated Casablanca, nid d’artists by Kenza Sefrioui and Leïla Slimani, which features the work of 115 artists. Meanwhile, New York-based artist Meriem Bennani is back in Morocco, working on a film project about French soft power and neocolonialism for the upcoming Whitney Biennale. The project involves filming the well heeled students of Bennani’s alma mater, Rabat’s Lycée Descartes—the crown jewel of the French Republic’s mission étrangère, whose tuition is about twice Morocco’s annual official minimum wage. Bennani describes it as a kind of “coming out” in the context of a society that has been quick to label her work as that of a marginalized minority artist. Literary awards, festivals, and commemorative exhibitions reign in this edition of weekly dispatches. It’s been a busy October in world literature! Join us to find out more about literary happenings from around the world, in Taiwan, China, the United Kingdom, and Albania. The “Double Tenth Day” on the 10th of October has been commemorated as the “birthday” of the Republic of China, the official name of Taiwan. On this day in 2018, the Li Mei-shu Memorial Gallery in Sanxia District, New Taipei City, held an opening ceremony for a series of exhibitions featuring the works by two important Taiwanese cultural figures, Li Mei-shu (李梅樹, 1902-1983) and Zhong Lihe (鍾理和, 1915-1960), respectively a painter and a novelist. Both were influential to the development of Taiwan’s art and literary scenes, and having lived through the martial law period, Li and Zhong grounded their paintings and novels in depicting the homelands that had nourished them. Both are considered to be among a group of Taiwanese nativist artists, who composed works to express their concerns and affections about the local people and places in Taiwan. The exhibition is open to the public until the 18th of November, featuring many precious manuscripts by Zhong, paintings by Li, as well as artworks of the other two younger Taiwanese artists. At the cost of sounding corny, I will say that my reading resolution for 2017 is more than partly informed by the prospect of becoming a mother this forthcoming June. As our baby will grow up in a trilingual environment, with Italian and Cantonese spoken at home and English everywhere else, doing research on trilingualism has intensified my awareness of the absolute need of being global citizens and global readers of the world, not only for one’s own benefit, but also as a major responsibility towards future generations. To begin with, then, I wish to fill my own embarrassing lack of knowledge of Chinese literature —my husband’s from Hong Kong—perhaps beginning with Tong Xian Zhu’s play The Peony Pavillion, my father-in-law’s all time favorite, and moving on to Tong Xian Zhu’s Not Written Words, which figures in World Literature Today’s list of notable translations of 2016. Xi Xi’s work has been characterized as a portrayal of the “constantly shifting urban space of Hong Kong—between tradition and modernity—as well as the multilingual zones created by its Mandarin and Cantonese speakers;” I can’t wait for literature to do its magic and transport me to a land that I haven’t, so far, visited in person but to which I already feel deeply connected. Moving from my family’s terrain to the world at large, but staying in Asia, Korean literature will also be a protagonist of my 2017: if reading Han Kang’s The Vegetarian was a defining existential experience of my 2016 and Jung Young Su’s Aficionados, featured in the Autumn 2016 issue of Asymptote, made me laugh my belly off, I can only expect good things from Korea, perhaps beginning with poetry. The anthology Brother Enemy, curated by Ji-moon Suh, is a collection of poems written by twenty-one authors during and following the Korean War, attractive and promising by virtue of its very humane title: what could change if we recognized the enemy as our brother? I hope to find some illuminating words in this volume. Finally, I wish to follow Daniel Hahn’s appeal and read more children’s book in translation (again, also in preparation for future evenings of bedtime adventures). 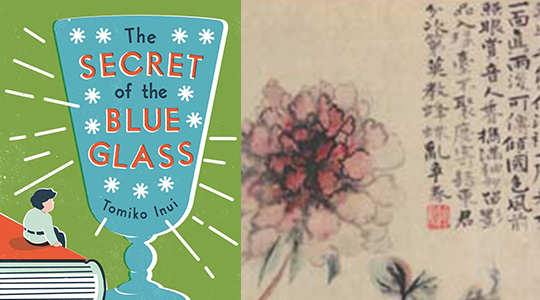 A simple peek at Pushkin Press’s Children Books page, to name but one, opens up a whole new world; in this case I let my inner child pick the book by its cover and my attention was caught by Tomiko Inui’s The Secret of the Blue Glass (another Asian book! I promise I didn’t do it on purpose!). The scene opens in a dusty library in a Tokyo suburb…what beginning could be more auspicious?